Too true with anxiety! And most times the conclusion is wrong! 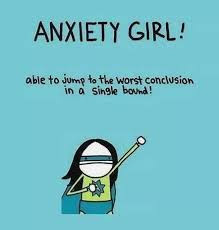 Well now, we both can't be Anxiety Girl at the same time!